STOP what you are doing and print this recipe. 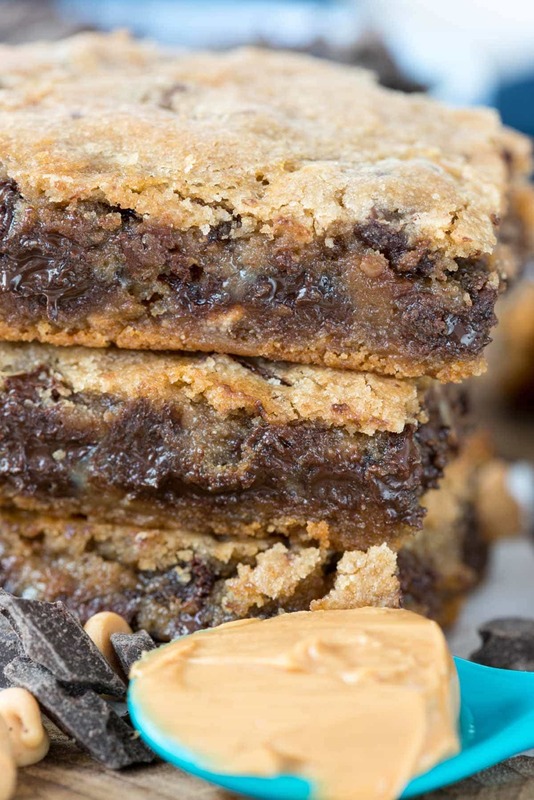 I’ve made the ULTIMATE gooey bar: a Double Decker Cookie Gooey Bar made with TWO kinds of cookies! Well, it’s that time of year again, the time when us moms are once again divided into two groups: the ones who are depressed that their kids are going back to school and sad they’re going to be away from them all day and the moms like me (the ones who are JUMPING FOR JOY that school started yesterday). …And now it’s time for her to go back to where she belongs: school. I will not cry at drop off. I will not mourn my days without her. I will not count down the minutes until pick-up time. I will cheer as I drive away, I will workout as long as I want without feeling guilty, I will work all day without feeling guilty, and I will eat a lunch of my choosing all alone while I watch The View without being interrupted or having food stolen off my plate. It will be heaven. And along with that heaven? Is a hefty dose of these! 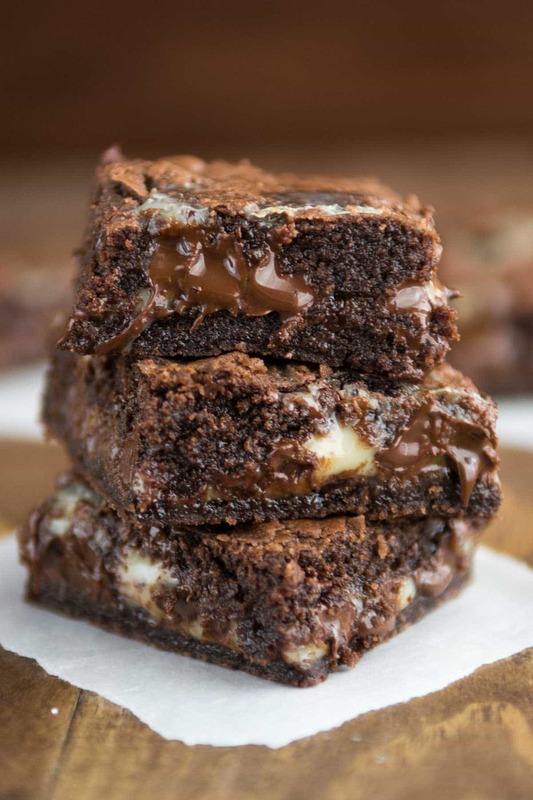 DOUBLE DECKER cookie gooey bars are made of two kinds of cookie doughs and filled with gooey sweetened condensed milk and chocolate!! 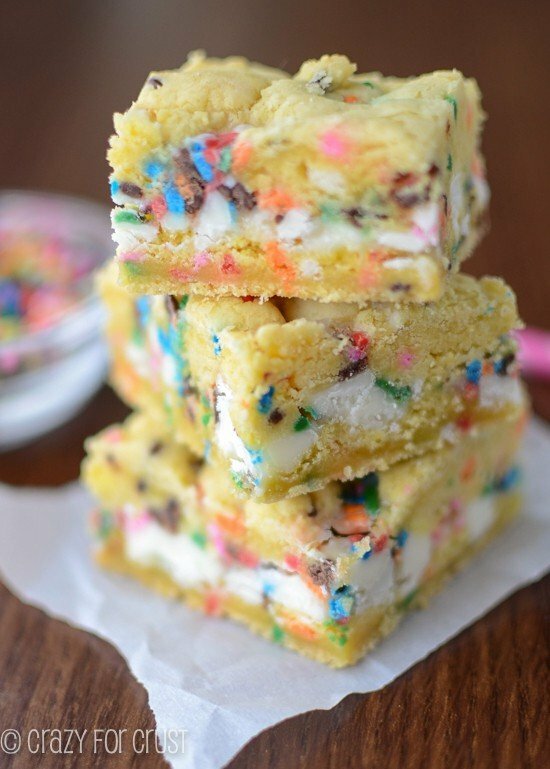 As you all know I’m a sucker for gooey bar recipes and I love Krusteaz mixes. You may think about them for pancake mix or muffin mix, but did you know they make some of the BEST cookie mixes? I’ve tried every single flavor and they all taste as good as homemade – if not better. I decided to have fun with two kinds cookie mix when I made these bars: Triple Chocolate Chunk and Double Peanut Butter. I mixed up both batches according to the package directions, and then I sandwiched them with a bag of chocolate chunks and a can of sweetened condensed milk. 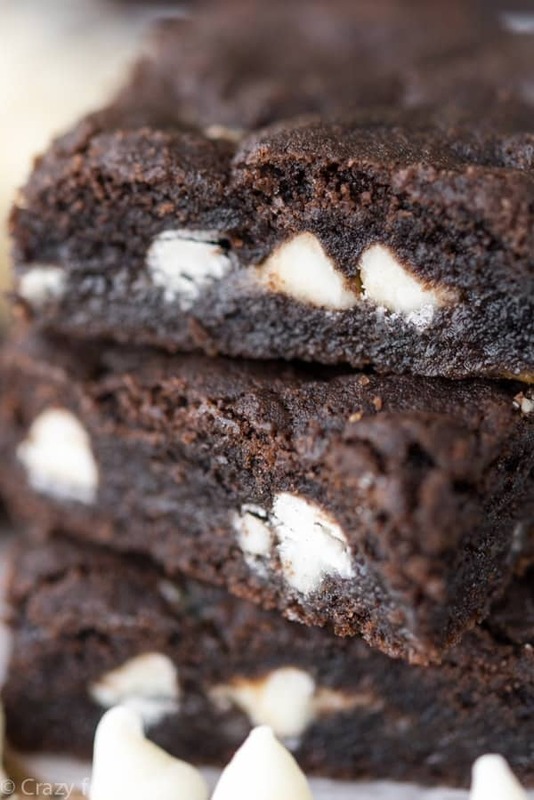 These are rich, chocolatey, fudgy, gooey, and PURE Heaven. If you don’t believe me, you’ll have to try them for yourself! CLICK HERE TO GET THE FULL RECIPE ON THE KRUSTEAZ SITE. 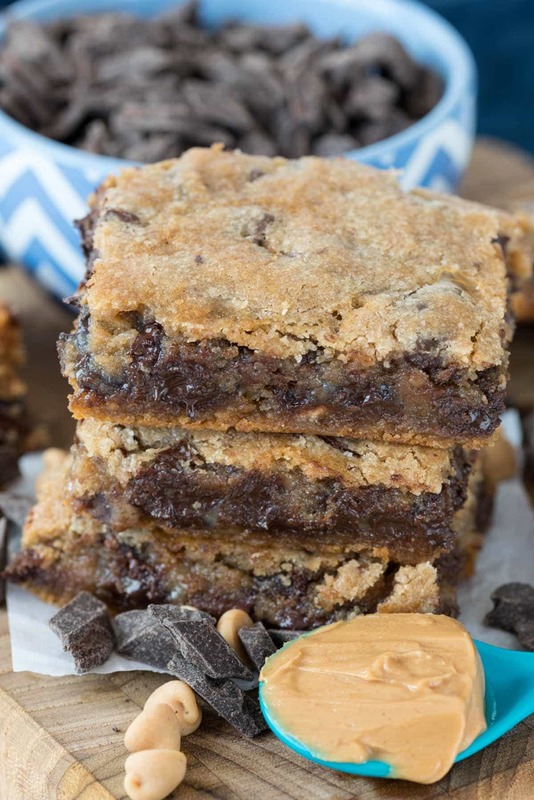 Double Decker Cookie Gooey Bars - combine two cookie mixes into one ultimate chocolate peanut butter gooey bar! This recipe is sponsored by Krusteaz. All opinions are 100% my own.